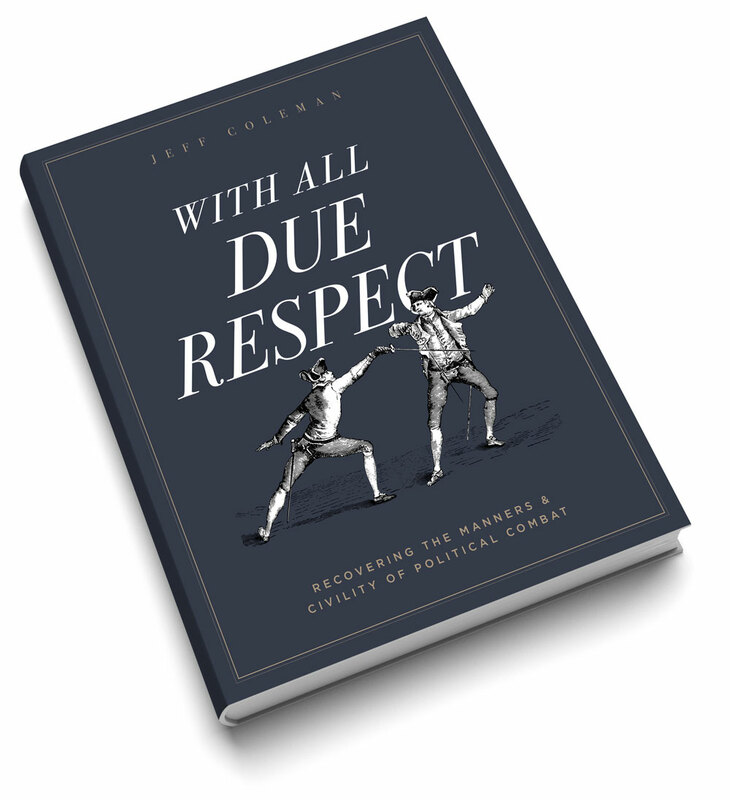 From town council and the state legislature to commentator and businessman, Jeff Coleman has spent much of his adult life debating the methods and manners of public debate and the need for genuine civility. Are there rules for political combat? Do the good guys ever win? Can you engage in politics without losing your soul? Has politics always been this ugly? In With All Due Respect: Recovering the Manners & Civility of Political Combat, Jeff shares his story while asking friends the questions only the Election of 2016 could raise. Jeff is a former member of the Pennsylvania House of Representatives, councilman in his hometown of Apollo, PA, and, during his college years, a radio newscaster on WLNI-FM in Lynchburg, VA. But he often cites a trio of former jobs as the most meaningful: waiting tables at the Main Street Eatery in Lynchburg, cleaning hotel rooms at the Kittanning Roadway Inn, and stocking shelves at the former Oliver’s IGA in Apollo. With each job his love grew for the stories of the people he met. It’s still this way today. Jeff is the founder and principal of Churchill Creative, a Pennsylvania-based branding and communications firm, and the Director of Branding & Design for Princeton Strategic Communications in Trenton, NJ. At each of these firms he works alongside a team of gifted creative professionals serving a deeply diverse family of clients. The son of Presbyterian missionary parents, Jeff spent several formative years traveling to Africa and South America, and living in his mother’s homeland of the Philippines. A graduate of Liberty University, Jeff and his wife Rebecca currently live in Lemoyne, PA, with their four young children. The Colemans enjoy serving in a variety of church and community ministries through New Covenant Fellowship Church of Greater Harrisburg and Bethesda Mission.